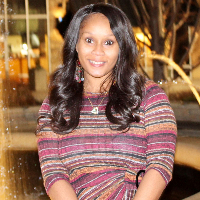 My name is Deitra and I am a Licensed Clinical Social Worker. I received my BA in Psychology and my MSW from West Virginia University. I have 7 years of counseling experience. I specialize in adjustment to chronic illness, depression, anxiety, suicidal ideation, life coaching, and relationship/family conflict. My counseling style combines cognitive behavior therapy, solution focused therapy, and includes proactive exercises throughout our sessions to ensure that you are meeting your goals. It is okay to NOT be okay! Life can be hard, but it's not over yet! I am here to help you discover your strengths so that you can live your best life. I believe in breaking stigmas and providing an empathatic and nonjudgmental atmosphere. Seeking help is a very courageous and I look forward to helping you throughout your journey. I am very happy with the service that I have received so far. I have been away from the internet for a while but it makes me feel good when I get messages checking on me to make sure I am doing good. I am looking forward to continuing my counseling to make sure I am able to stay in the right mindset. Would you like to write a review for Deitra Harris? We'd appreciate if you can spend a couple of minutes to write a short review for Deitra Harris (LCSW). This review would be shared with Deitra Harris. It may also be posted in our website or in Deitra Harris's profile but it would be anonymous and your identity would be kept completely confidential.